I had issues posting via mobile previously, hopefully this works! I took these pics in late August. 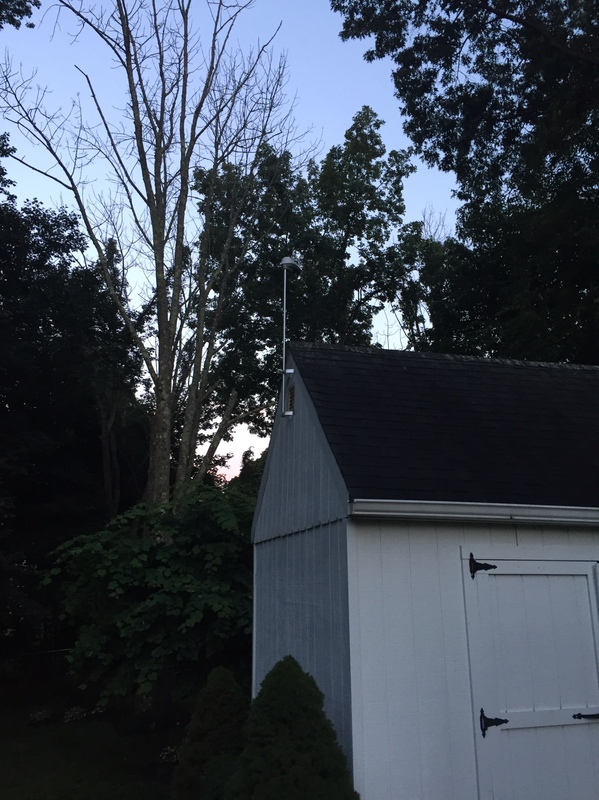 A few shots of the station mounted to our shed in the flatlands. It's been working well for the last few months. I love having remote access to conditions! The HD display is the first thing I check when I make my way to the kitchen in the morning. I used a this to ensure the mounting pole was plumb. Worked perfectly! 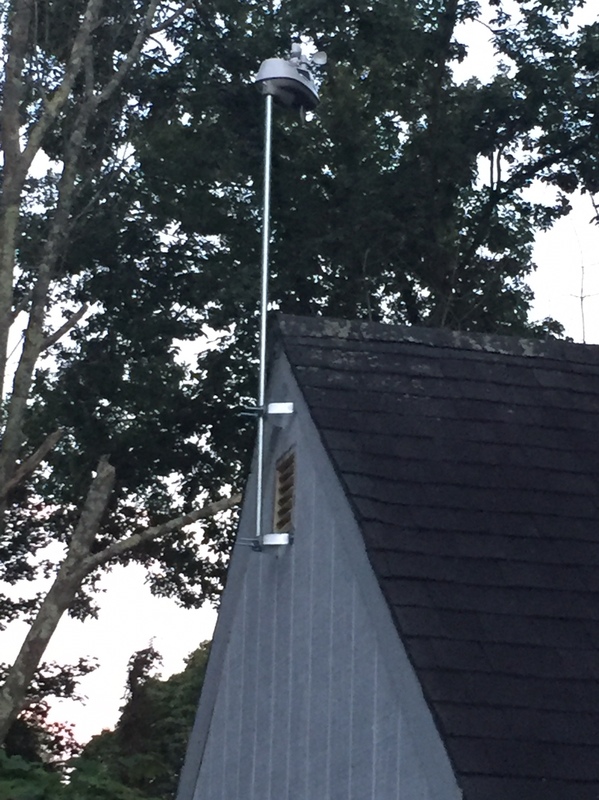 Same antenna mount I used on the station up in Vermont. Debating if I should switch to the lithium batteries fir the winter. I would. I use lithiums year-round in my 5n1s. I always change mine in the fall even if I'm not getting a low battery warning. That way I can avoid a battery change in the dead of winter. Thanks guys. Sounds like it may be a good project to do sooner than later. That certainly would be nice! Unfortunately, both of my systems are mounted far away from any power sources. At least they have some solar operability with the internal fan. Mine is similar out here in Western Washington. Acurite makes a remote battery pack with a 30 ft wire: https://www.acurite.com/remote-battery-pack-for-5-in-1-weather-sensors.html which I am considering. These high installations are hard to get to and you have to be careful not to fall. Good idea on the battery pack! That would make changing easier. Thankfully, the snow we had yesterday melted/blew off from the unit. Not so much in VT. 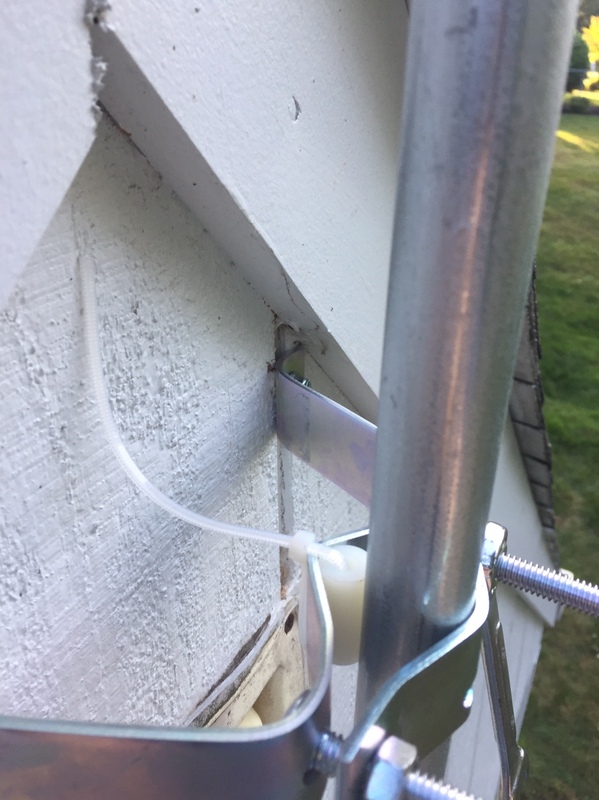 I had to use a long handle to reach the unit and clear the wind cups.